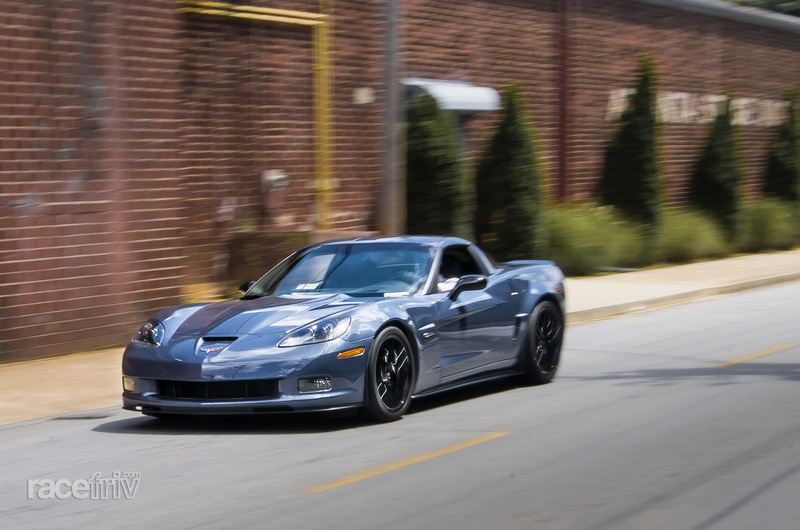 racefriv.com: A rare Z06 Carbon edition comes to town. A rare Z06 Carbon edition comes to town. 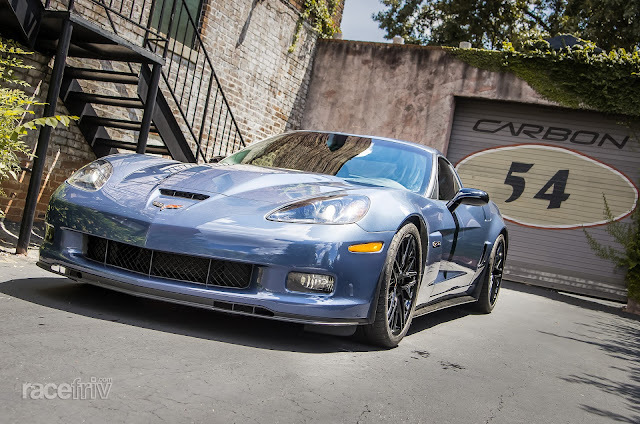 I recently had the pleasure of photographing a friends Supersonic blue Z06 carbon edition Corvette. Before I was contacted about the shoot I didn't even know such a thing existed, so I wanted to share the photos and delve into the details. 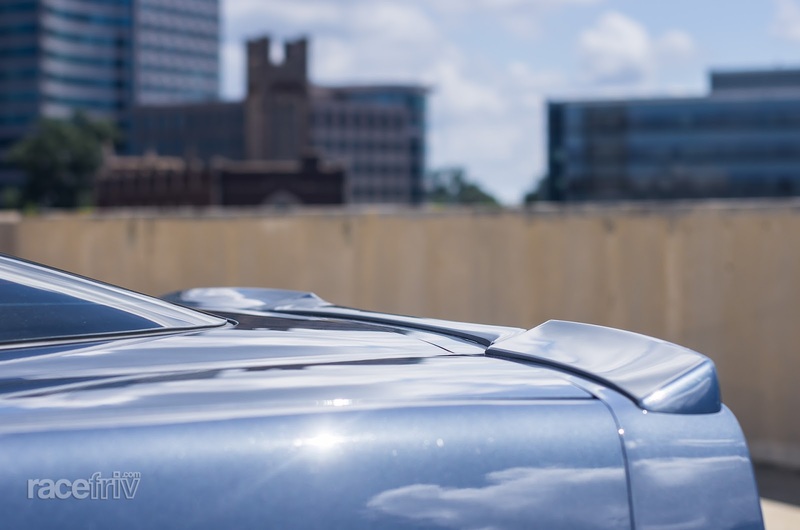 We met at Einstein Bagels in Midtown and convoyed up to this parking deck which has great views of the city. On this Sunday Morning it was empty and had a few puddles from all the ridiculous amounts of rain we've been getting this summer. 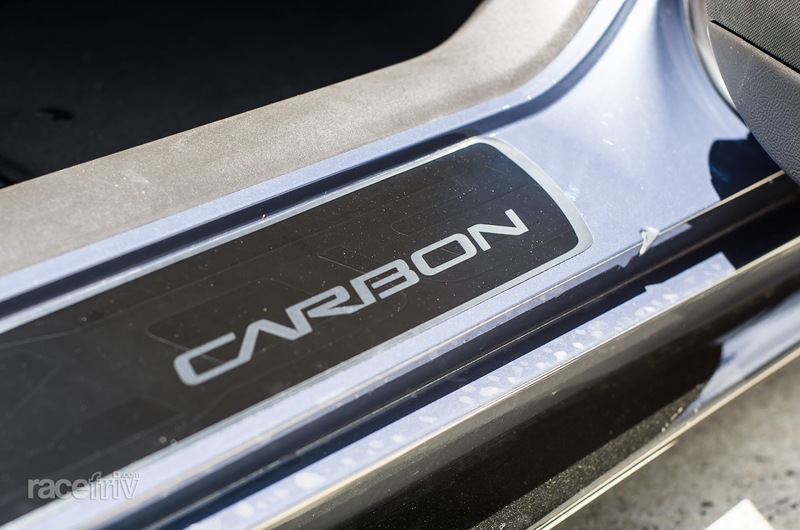 The Carbon edition comes with a whole host of bodywork goodies including these side skirts. The wheels are also the same as those used on the supercharged ZR1 and include the Michelin PS2 rubber. 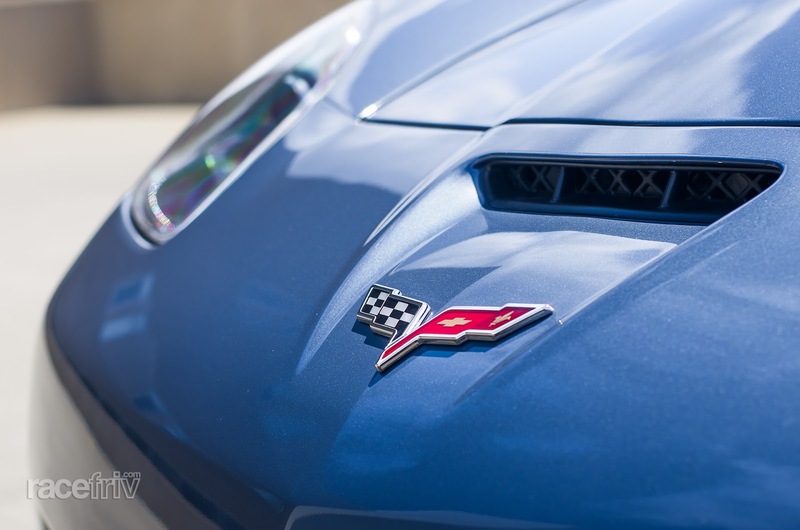 Just like the "regular" Z06 the carbon has a hood scoop, although in this case the hood has an extra buldge and is made of carbon fiber. 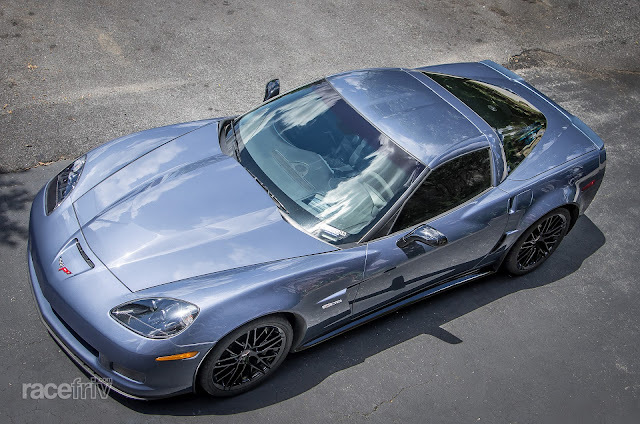 You can see the flake in the paint here, the color takes on different hues depending on the surroundings. 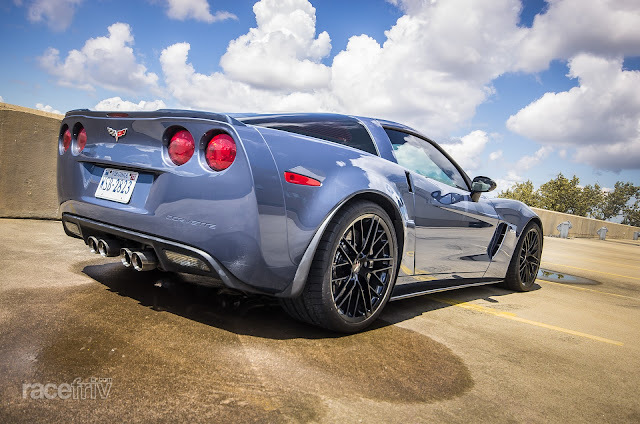 The engine as you can see from the side badges is the standard Z06 LS7 - 427 505hp unit. Intriguingly there are some differences between the marketing blurb and the real cars too. Engines were supposed to get carbon covers but got the standard ones instead. 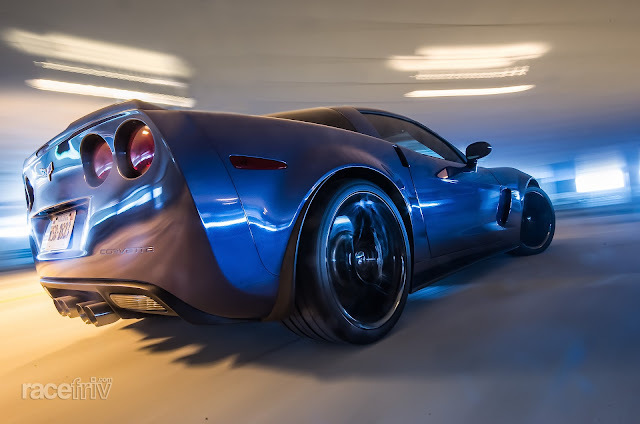 The roof and side mirrors were also supposed to be carbon fiber but there is some indicators that they are in fact standard composite pieces. Another Bodywork addition is the little lip spoiler that runs the width of the tail. The base cars have a smaller bump in the middle. 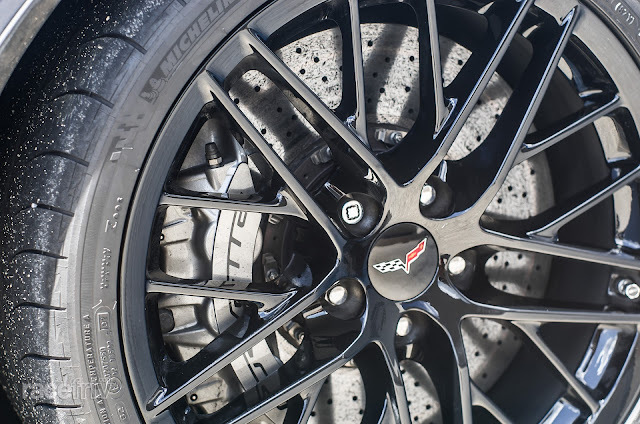 The brakes use giant 15 inch carbon ceramic rotors, this is why the larger ZR1 wheels were used. Flourishes are found throughout the interior. Suede accents from the steering wheel to the shifter boot give the car a little more of an exotic feel than the base cars. 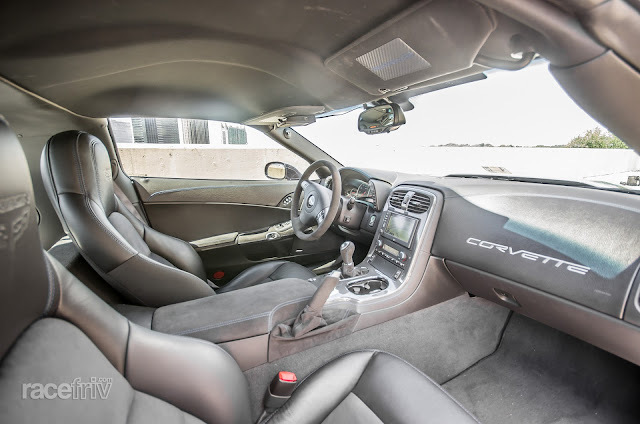 Bear in mind that while one of the criticisms of the Corvette is the parts bin interior, it is also in some ways one of the cars key strengths. 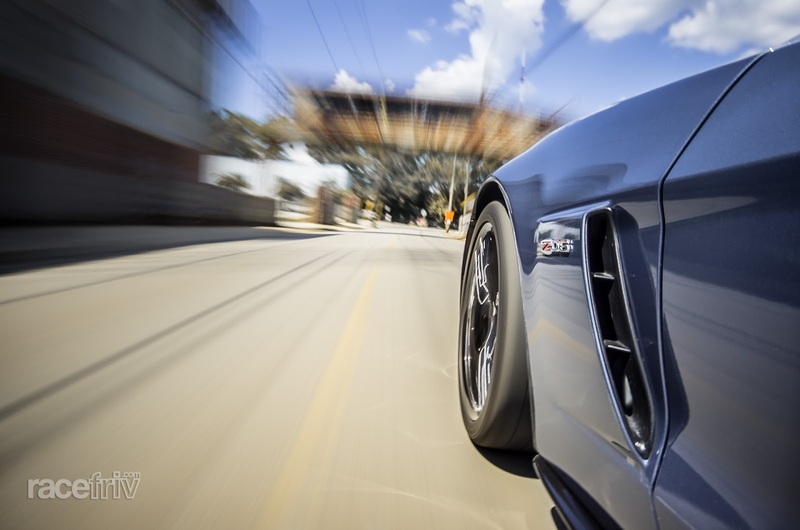 Those switches and parts are time tested by corporate big brother in other platforms and are comparatively reliable compared to other more exotic cars. it also allows Chevrolet to sell a top drawer sports car for significantly less money than the competition. 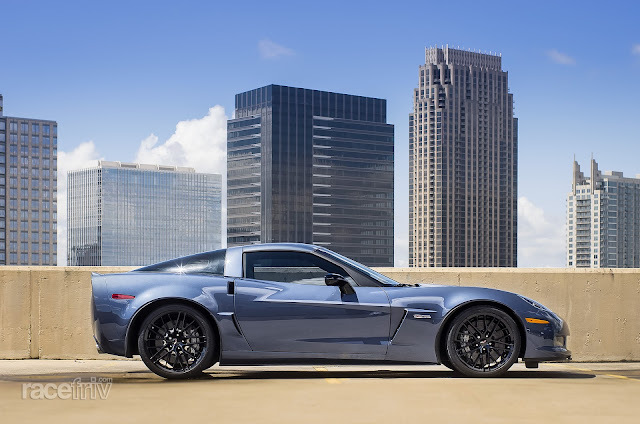 It adds up to a package that is subtle compared to the full blown ZR1 craziness but GM claims its brakes and tires help it around their proving ground circuit a full 3 seconds faster than a Z06. 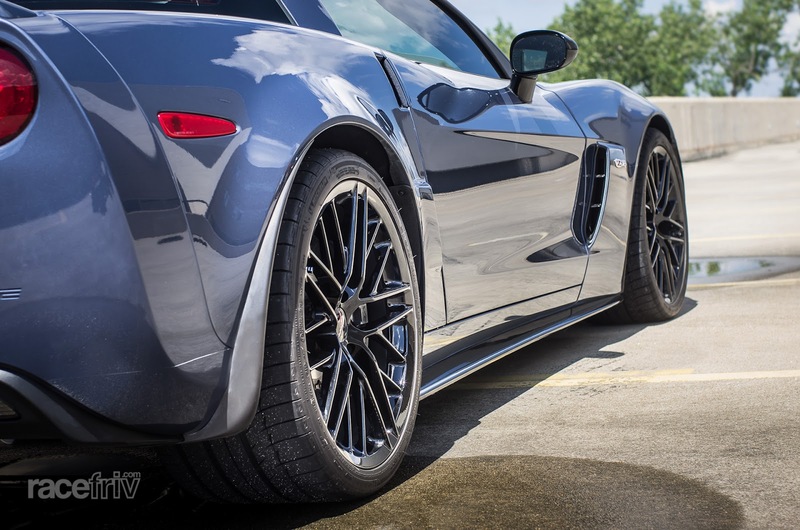 The weight is very similar to the earlier Z06 cars despite those larger wheels and brakes and despite having more creature comforts in the interior. This car also gets a racing number decal for the side of the car for use on track days. Our friend is an F18 Pilot for the Navy. I imagine the 3.6 second 0-60 time feels somewhat pedestrian compared to a carrier launch firing him to over 100mph in less than 2 seconds. 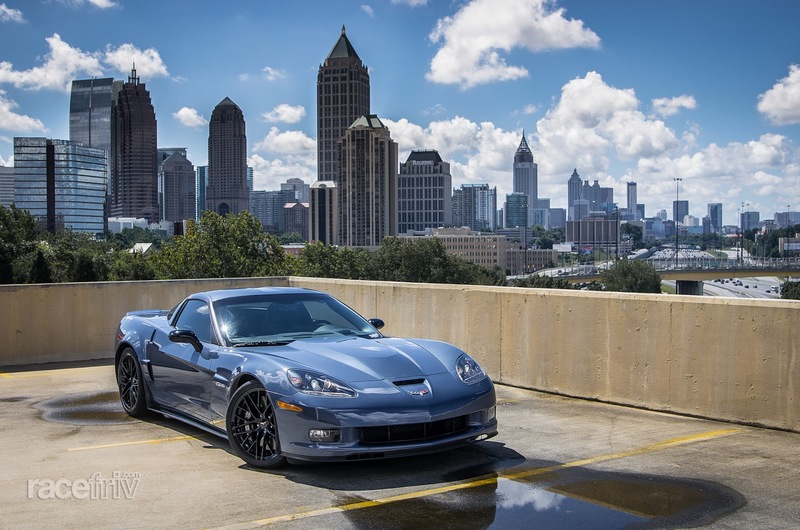 We traveled around Atlanta to find some spots to shoot the car in peace. Apparently the goat farm artists commune (which has some amazing ruined industrial buildings) requires a minimum $75 permit for photography. This is pretty reasonable for a commercial shoot, but we had other places to try so we said no thanks. Apparently they misunderstood our intentions and chased us away as if we had insulted their Mothers. Next we stopped at Krog street where there is an old factory with a rusty footbridge over the road. This turned out to be a highlight of the day. Just after this photo a small crew of people emerged from the brick building taking pictures of a "model" who was apparently wearing the latest collection of a new designer. 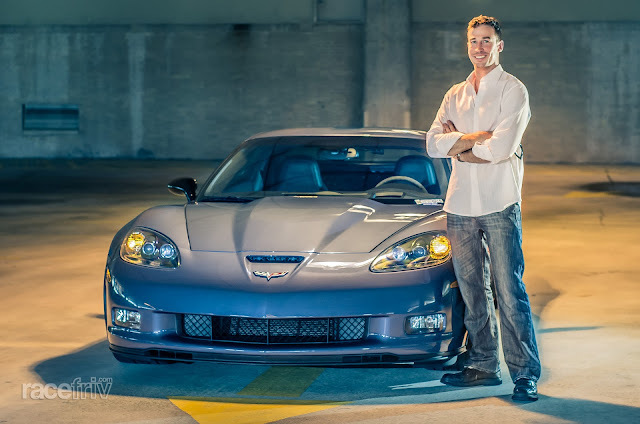 They asked if they could use the car in their shoot and we agreed, took a break and watched someone else take pictures. She didn't lack any confidence that's for sure. I kept expecting to see some hidden cameras and a TV host to appear and tell us we had been pranked. But no it's just how this town is on a Sunday afternoon. As if to confirm our suspicions about how few fucks there are to give around here... 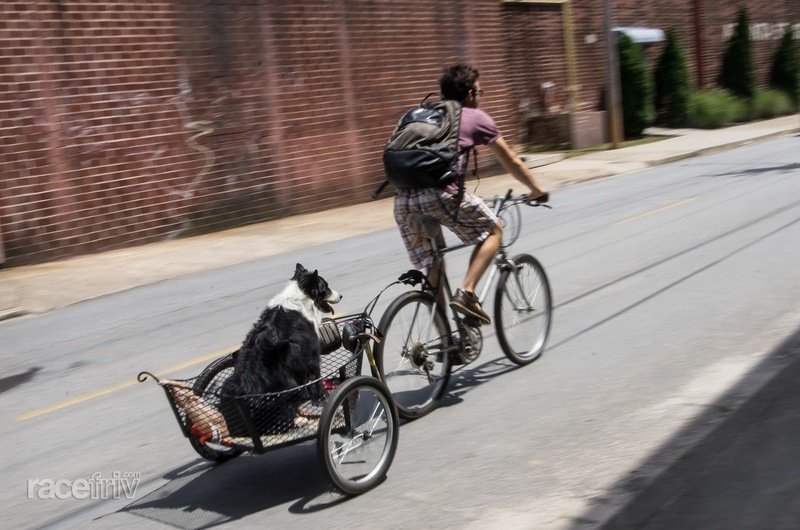 This guy rides by on his way to or from work with his dog in a trailer. I'm guessing he is a roofer or flooring installer based on the hammer and knee pads, but then again it could be an occupation so obscure I've never even heard of it. 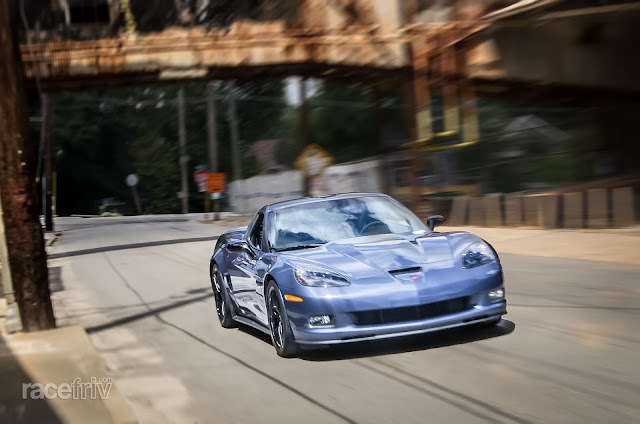 And with that the owner took off, to return to Virginia, via the tail of the Dragon to return to his boring, run of the mill hum-drum job of flying supersonic fighters off the deck of boats. 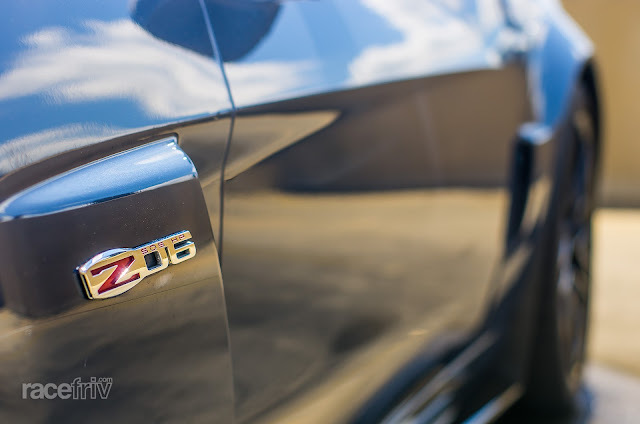 I take my CF front splitter off my Z every time it gets transported around town. Otherwise it wont be getting on the truck. Brakes been burnished?